Vitrium Systems, developer of document security and digital rights management software, has hired Lawrence Liu to build on the company’s current growth path and increase market reach by bringing on enterprise-level customers and growing Vitrium’s global partnership network. 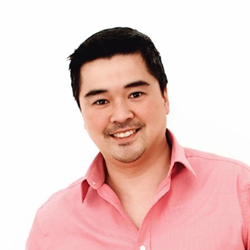 Lawrence Liu is the new Director of Sales and Business Development at Vitrium Systems. I cannot imagine a better fit in our company than Lawrence Liu who will help us accelerate our growth and introduce our technology to new markets locally and globally. Vitrium Systems Inc., one of Canada’s leading provider of file security and digital rights management (DRM) software, announced today that Lawrence Liu has joined its team as the new Director of Sales and Business Development. Mr. Liu will lead Vitrium’s enterprise sales team and partner channel, as the company moves into new markets and expands its file encryption and analytics product line. Mr. Liu’s primary role will be to build on the company’s current growth path and increase market reach by bringing on enterprise-level customers and growing Vitrium’s global partnership network. Prior to joining Vitrium, Mr. Liu served as Director of Sales at Bazinga Technologies, where he was responsible for the creation and execution of the company’s strategic sales plan, as well as overseeing growth in new markets and industry verticals. Mr. Liu has built a successful career growing revenues for industry giants and has experience working in international markets and with global value added resellers and systems integrators. With over eighteen years’ experience introducing leading technologies to new markets, verticals, and Fortune 500 companies, Mr. Liu will be a key player in Vitrium’s continued success. Vitrium Systems Inc. is a technology company that empowers businesses that create, publish, or distribute proprietary or confidential content. Vitrium’s enterprise file security and digital rights management (DRM) software allows clients to protect, control, and analyze exactly how their content is used by their audience. Since 2005, Vitrium protected documents have been published and distributed by thousands of companies and accessed by over a million users worldwide.